Do you have cute pictures of your birds? Then send them in to be a part of our Annual Calendar Contest. Great Companions, Attn: Marketing, PO Box 166, Orange City IA 51041.
myphotos@greatcompanions.com Emailed photos must be sent as a jpeg. Low resolution (72dpi) images must be 37.5" x 50". High resolution (300dpi) images must be 9" x 12". 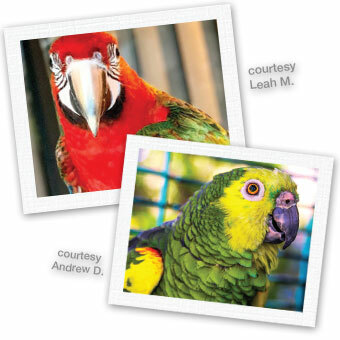 Also, be sure to share your Love Your Bird Story!